The Taobao Maker Fair is a big deal. To be completely honest, I couldn’t understand why. The surface description I first received of the fair seemed kind of unremarkable: online shops come together to show the stuff they sell. Packing a day bag for the trip to Hangzhou, I could only ask myself, why is everybody so excited about this? Turns out, for good reason. 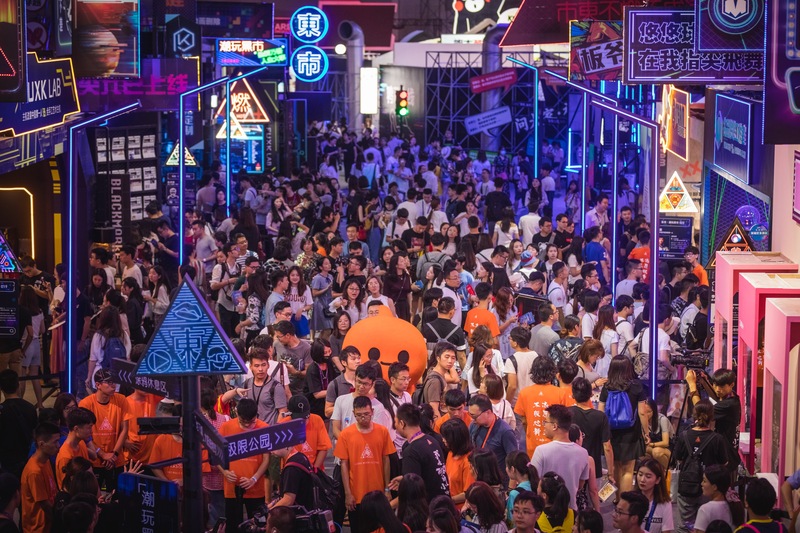 The Maker Fair highlights the let’s-do-this attitude and innovation coming from China’s new wave of young millennial entrepreneurs. The products are dope: 4D racing simulations, folding electric guitars, punk rock tattooed bananas, and everything in between. Then there’s a whole stage with who knows what happening. Cosplay competitions, Ultraman robot battles, etc. What’s more is that, overall, the crowd is undeniably hip. China’s cool kids came out in droves to see what was up at this year’s Maker Fair. Top it all off with the She-Era Global Conference on Women and Entrepreneurship, occurring during the fair at the same location, and you have a recipe for success. Here’s six things that went down at this year’s fair. Why would this happen? Who could have predicted it? Not us. Hearing a rustling of audience interest by the stage, we amble over just in time to see six enormous Pikachus emerge from behind a giant steel door, and burst into a choreographed dance routine over EDM music. OK, next thing. Vera Wang was in the building, looking flawless for her speech at the conference on women and entrepreneurship. She spoke to the audience about the importance of entrepreneurial spirit for women as individuals, the necessity of elevating women economically across the world, and the failures and successes that defined her own journey to become a global fashion icon. At the conclusion of her speech, she screened a short film featuring her with the different loves of her life: Paris, dance, ice skating and fashion. There’s no other word for it. Jack Ma, “the Steve Jobs of China”, founder of Alibaba Group, and the richest person in Asia, took to the stage to deliver the keynote address for the conference on women and entrepreneurship. The entire crowd erupted into furious applause as he walked out, complete with screaming girls and people trying to take selfies with him from 200 meters away. Jack Ma is a powerful speaker, and long story short he killed it. He delivered a long and nuanced speech on the urgency of empowering women, and the strengths of women as leaders and innovators. He opened the stage to a video call from a colleague, showing his awareness and ability to step out of the spotlight at the keynote address of his own event in order to let a female voice shine. Afterward, he went overtime in his Q&A segment to have conversations with members of the audience, much to the excitement of the visibly nervous question-askers. Everybody loves Jack Ma. I just feel like this should be addressed. The promo video for this year’s fair showed a young guy making his way through a gritty, futuristic, Bladerunner-esque city, bumping into all kinds of crazy characters and innovative gadgetry along the way. I was expecting the actual event to look more like a conference room with booths and tables and email signup sheets, but the fair really brought it. The whole place was decked out as an immersive neon cityscape, and each individual shop was just as cool. Another popular attraction at the fair was the Tao Cafe. Customers can scan their smartphones on entry, and the store will track you with facial recognition cameras (kind of scary). Pick up what you need, and walk out. That’s it, your items have been paid for automatically, with the help of our soon-to-be machine overlords. All in all, the Taobao Maker Fair was sick. We wandered through nonsense spectacles, cutting-edge technology, and thought-provoking brainstorming on the importance of female entrepreneurs, all in a matter of hours. And there was a free-flow cocktail reception on the roof afterwards, which was much needed. It was tiring, but we’ll be there next year, and so should you.